The End. That has seemed to be a popular concert theme of late. Many bands from the 60s, 70s, 80s, and even the 90s calling it quits… and giving their fans one final grand tour to say goodbye. I, myself, attended both Motley Crue’s and Shania Twain’s “final” tours just last year. 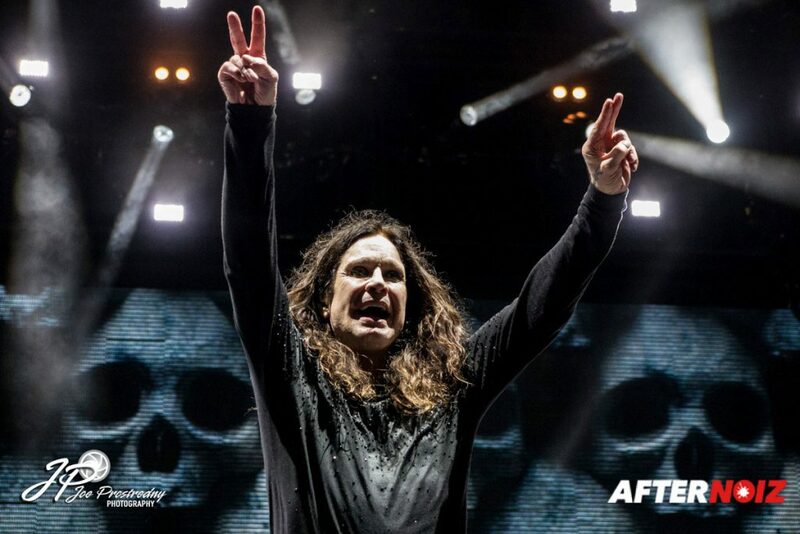 As many fans know, some “final” tours aren’t really all that final, as many bands due to boredom or financial issues come out of retirement and return to the stage. Others stay true to their word and their final tour is really the last chance for fans to see them live. 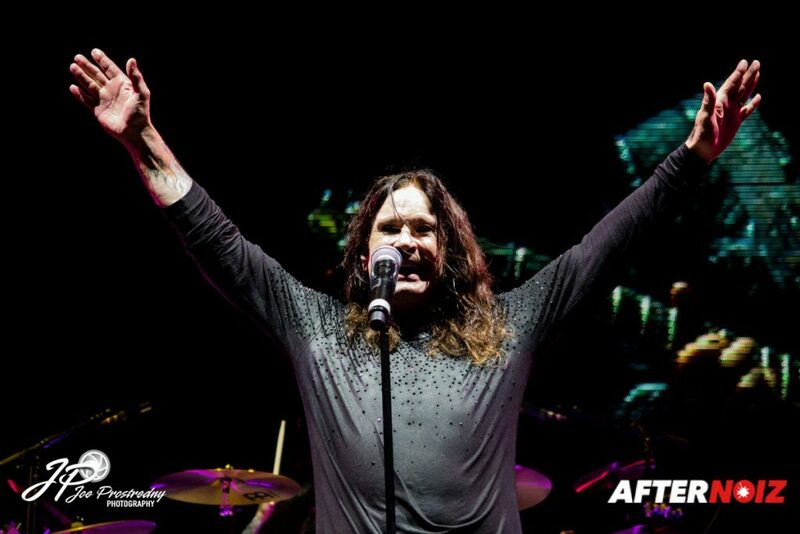 Black Sabbath’s final tour, aptly titled “The End”, felt like the latter… it truly felt final. But who could blame them? This band, in various forms has been a fixture in the musical world for almost 5 decades. 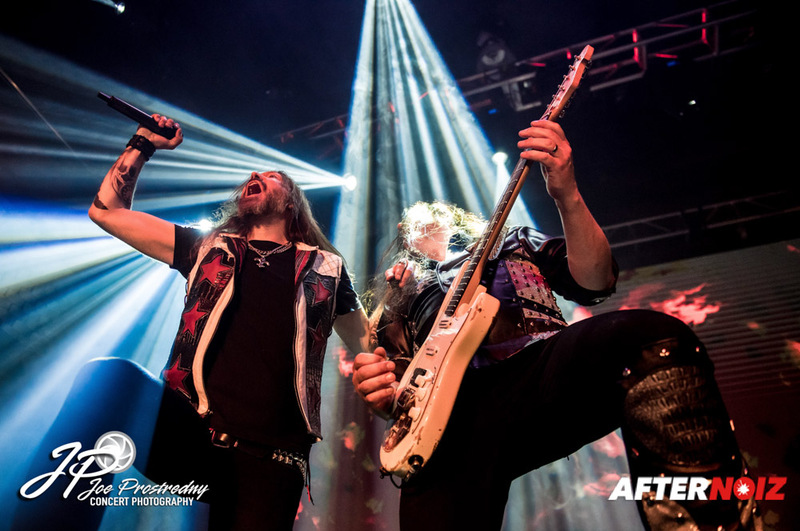 They are often credited as the progenitors of the Heavy Metal genre, even though they don’t actually think of themselves as a metal band. But whatever you want to call them, they have given us many years of great music and great shows and deserve to go out on top. I was able to catch the second leg of the final tour in North America at the Jiffy Lube Live Amphitheater in Bristow, Virginia. Jiffy Lube is a large outdoor venue (25000 capacity), with great acoustics and lighting. The venue was nearly sold out except for a handful of spots way back in the lawn section. 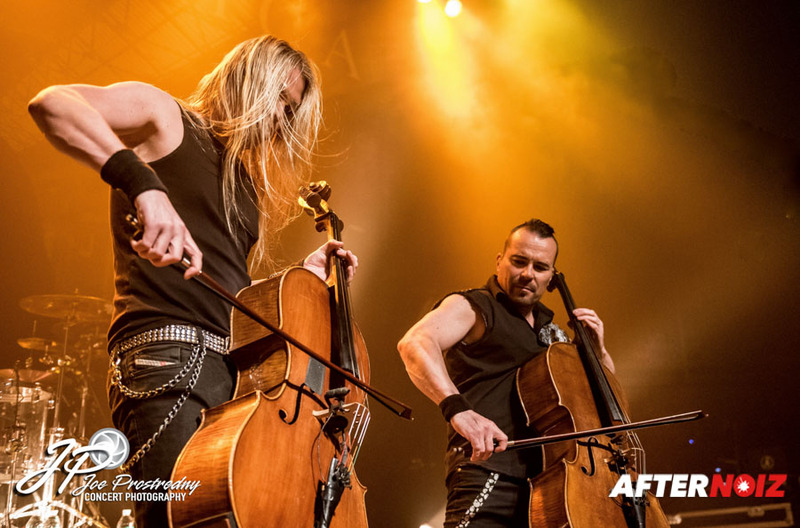 The crowd was energetic and loud…here to see these rock legends entertain them one final time. 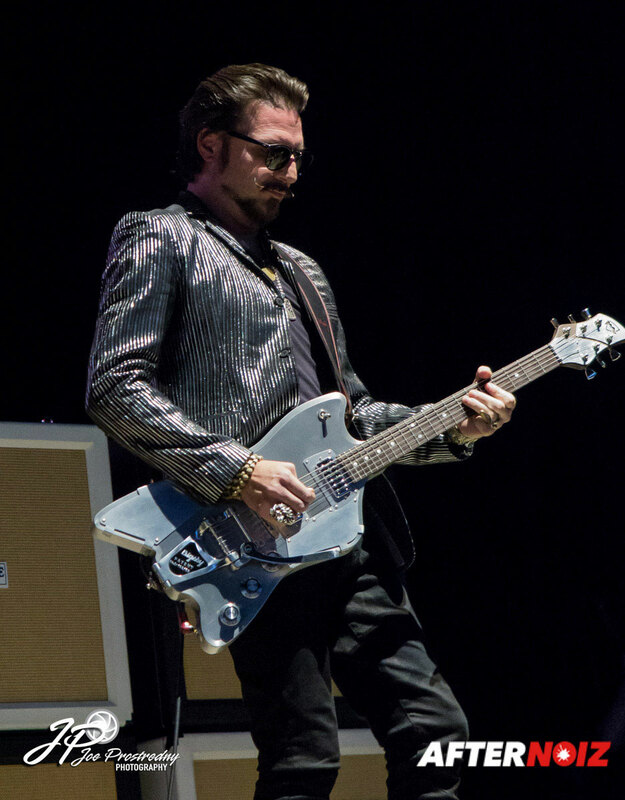 The evening was opened by a 5 piece hard rock band from California called Rival Sons. 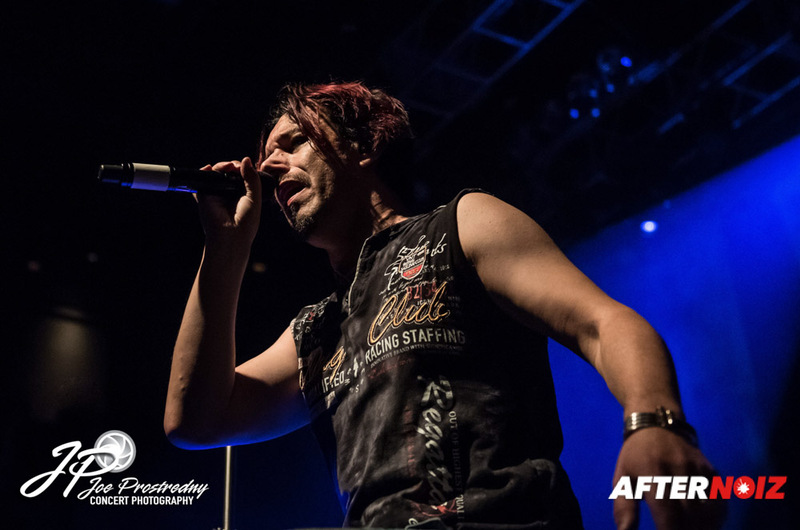 The band played a heavy bluesy style of rock and the lead singer was active and interactive with the audience. They played an eight song set that lasted about 40 minutes… a fairly typical length for an opening band at a larger show. 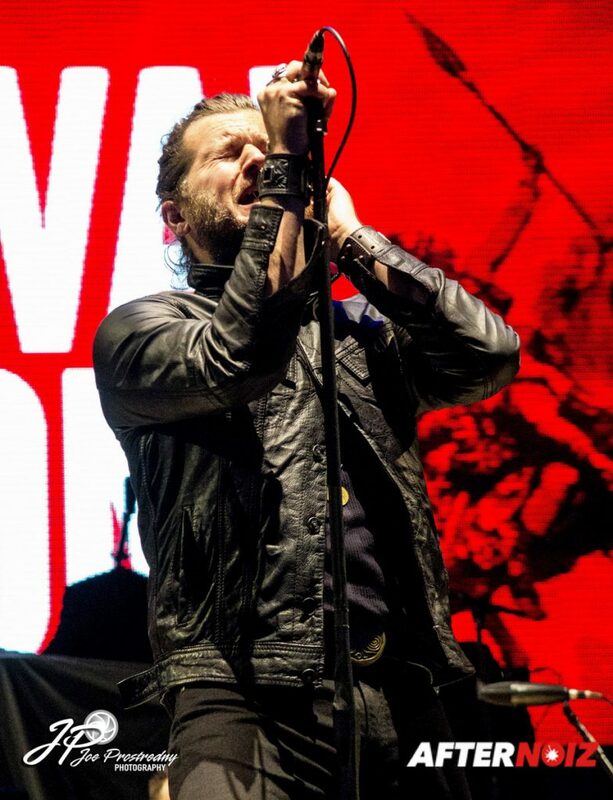 Rival Sons has released multiple studio albums over the past several years. Despite having never heard of them before, I really enjoyed their set and would definitely go see them again if they came back around. 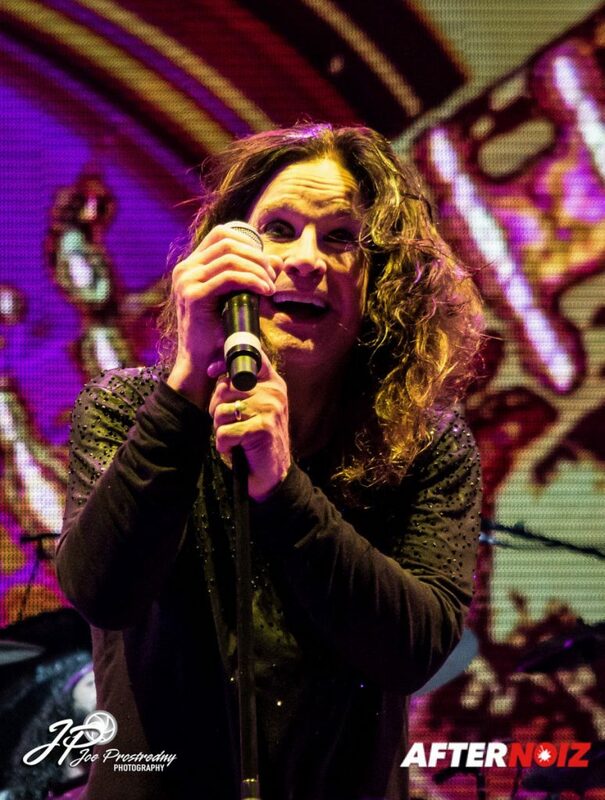 By the time Sabbath hit the stage, the seats were full and the roar of the crowd was deafening! 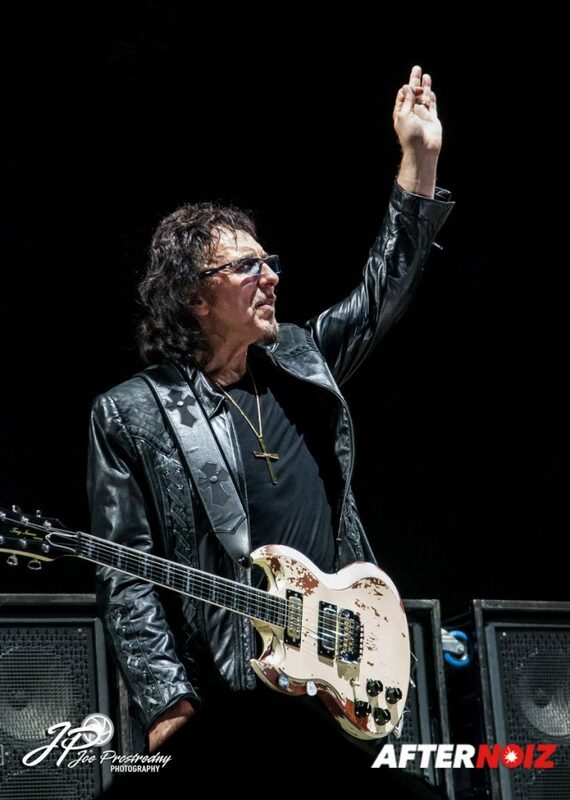 The lineup for “The End” consisted of ¾ of the original members including Tony Iommi on guitars, Geezer Butler on bass, and Ozzy Osbourne on vocals. 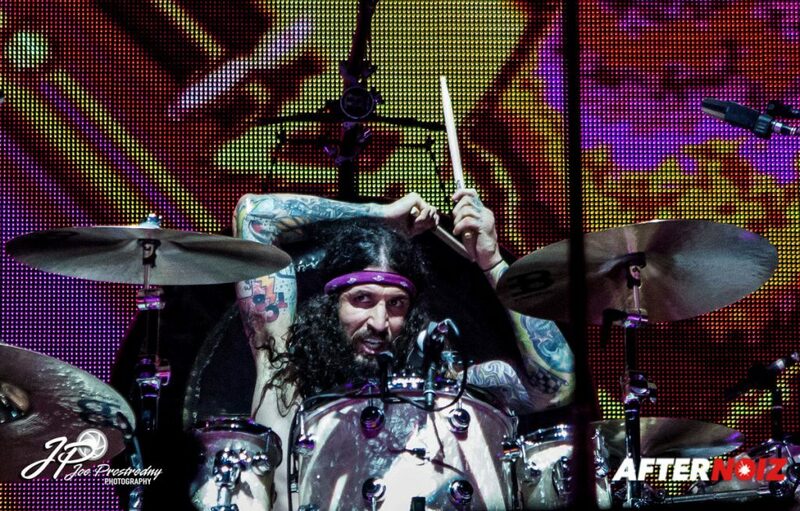 Original drummer, Bill Ward, has been absent from the last several tours, and on this tour his seat was filled by Tommy Clufetos. 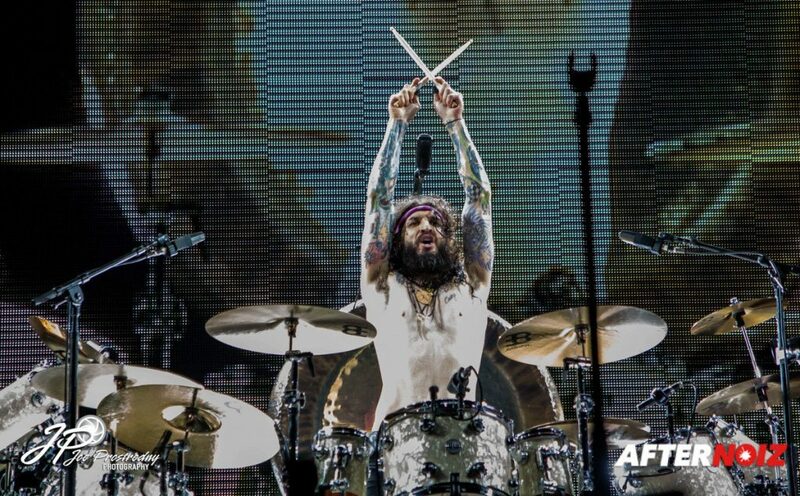 Tommy is a fantastic drummer in his own right, but I did find myself wishing that the band could have gotten Bill Ward to come along one more time on this final ride. 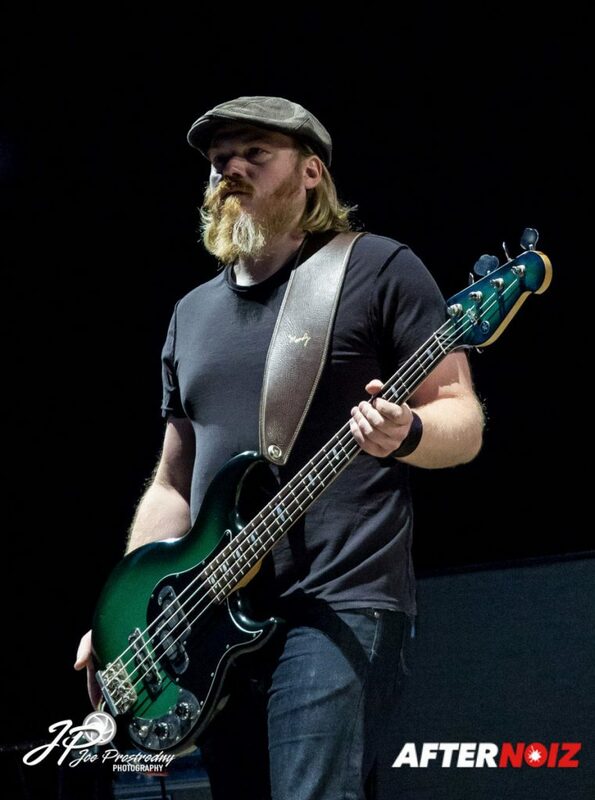 Also performing on keyboards and rhythm guitar on this tour was Adam Wakeman (son of legendary keyboardist Rick Wakeman). However, most people would have never known about this “fifth” musician as he remained hidden offstage behind a curtain for the entire show. 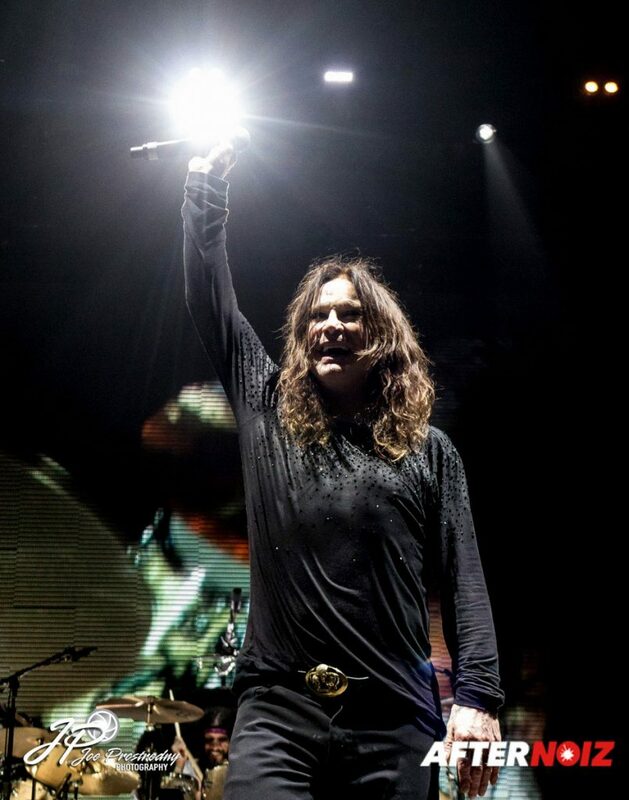 I have seen Black Sabbath perform multiple times in the past… never during their heyday back in the 70s… but at least five previous times since the reunion of the original members in the late 90s. 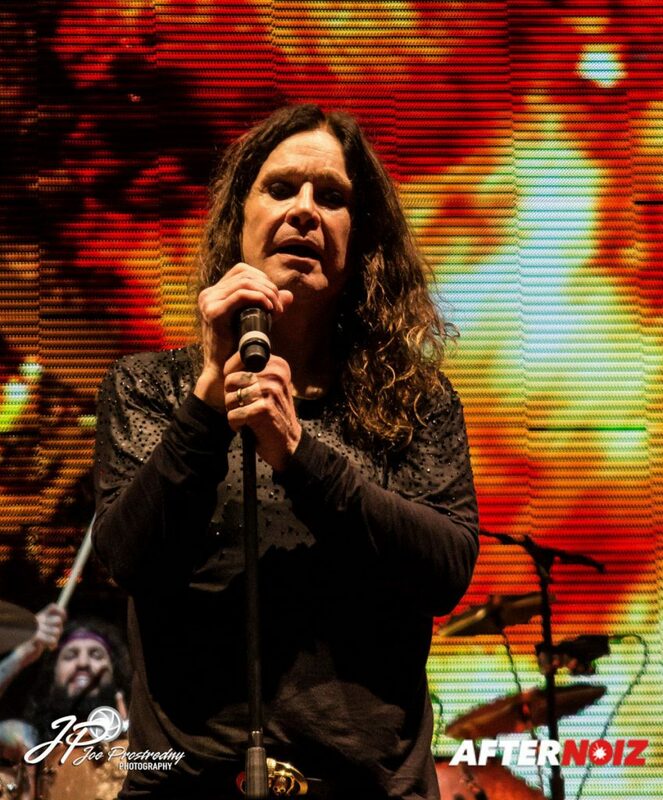 The stage set up was pretty typical for a Sabbath show with very little stage décor beyond the wall of speakers and the large video screen at the back. 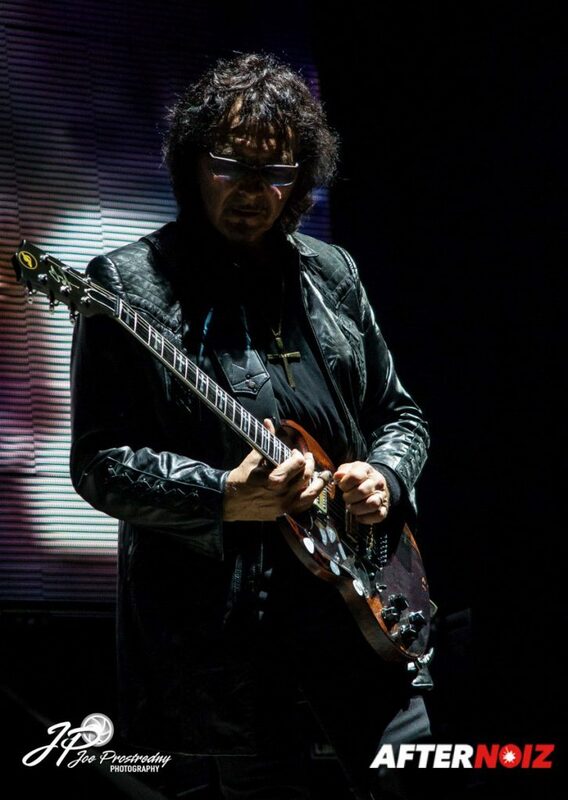 Also typical for a Black Sabbath show, Tony and Geezer didn’t move around much and minimally interacted with the audience. 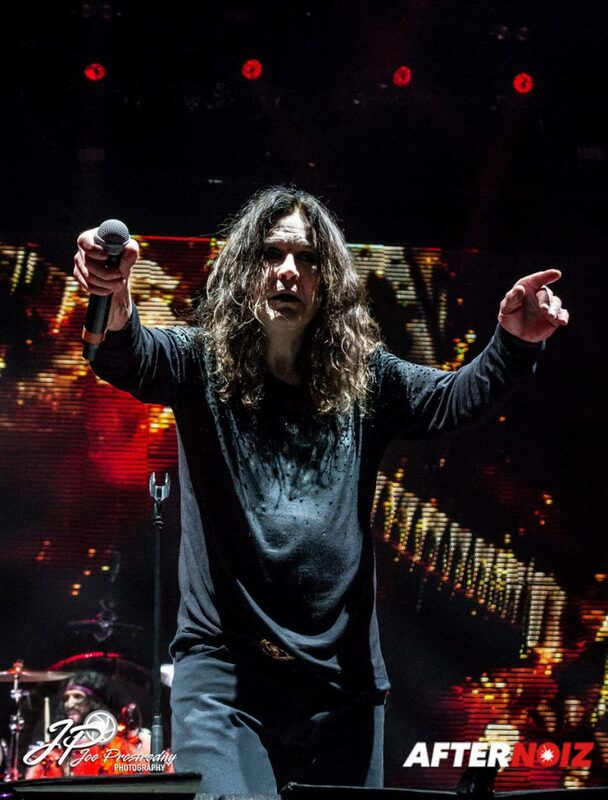 Ozzy himself spent a lot of time running back and forth across the stage and was constantly interacting with the crowd… but he never really interacted with the other band members. 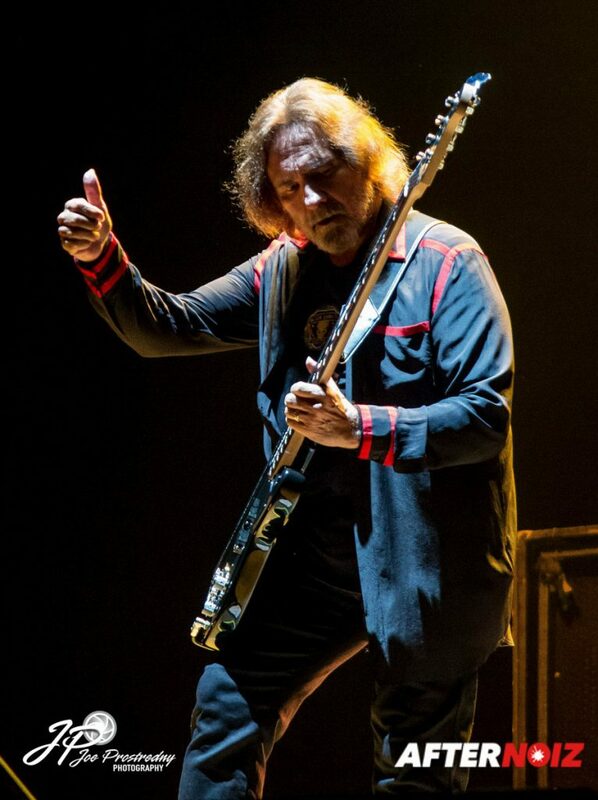 The one exception being he pointed at Tony during the guitar solos to draw the audience’s attention in that direction. 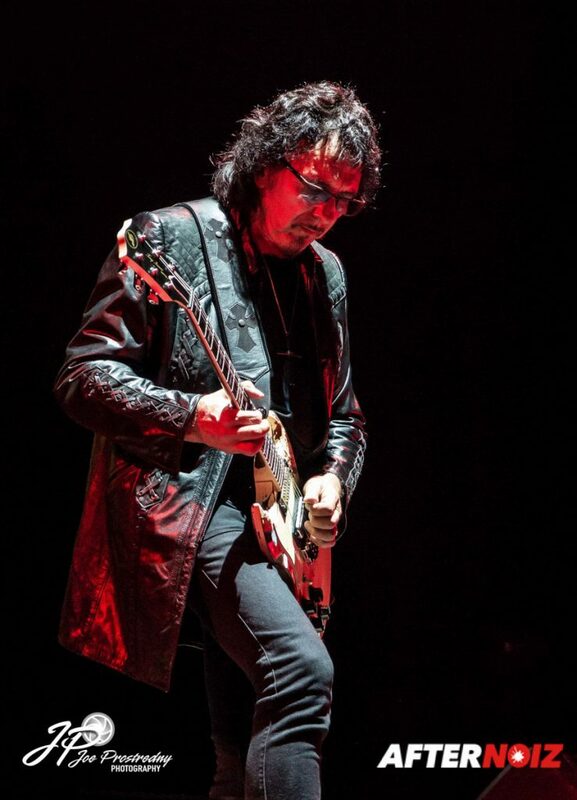 Black Sabbath shows have always been four isolated musicians standing alone, doing their own thing, that just seem to coincidentally form a cohesive song. 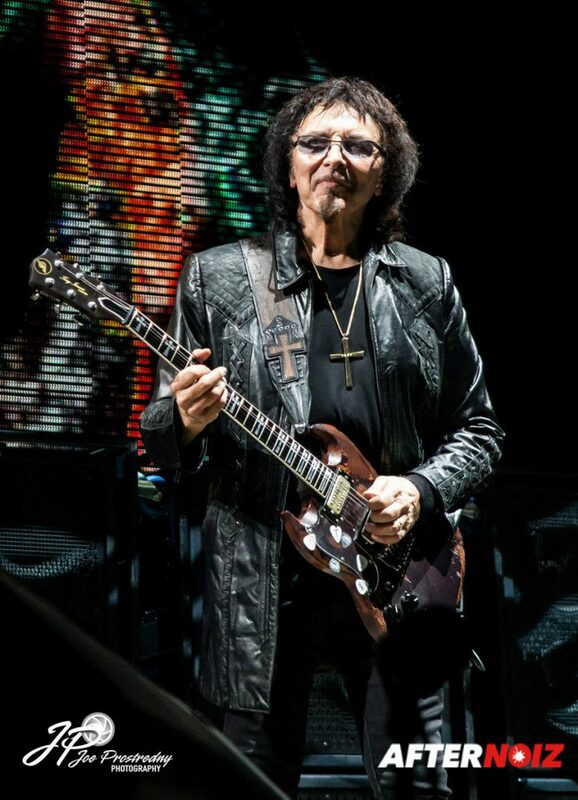 But this is the way Sabbath shows have always been, so I didn’t really expect any difference on this final go round. 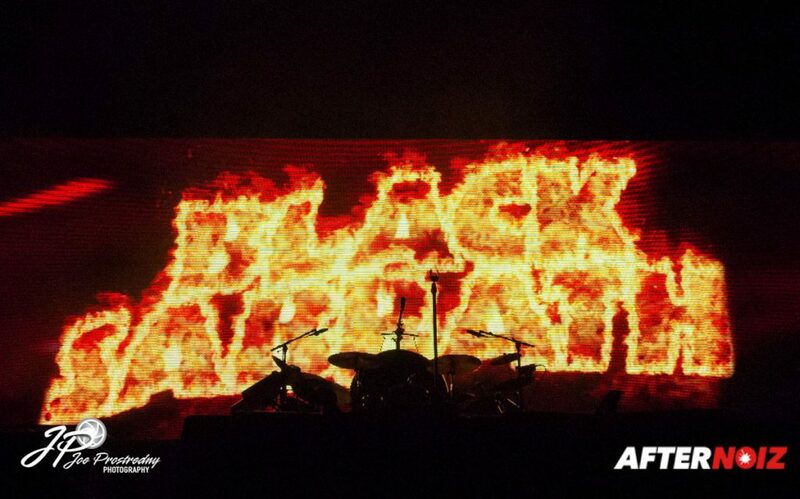 What the band lacked in its visual appeal however, they more than made up for with the musical performance itself. This was probably the best I’ve ever heard them play. 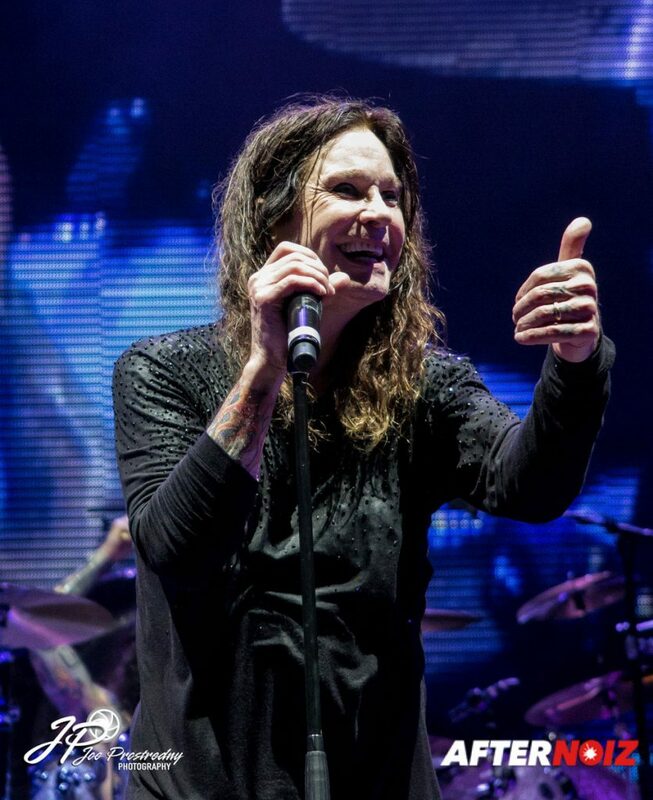 Ozzy has received some criticism in the past for a decline in his vocal prowess… but none of that seemed apparent on the night I saw them, and I really enjoyed the musical performance. 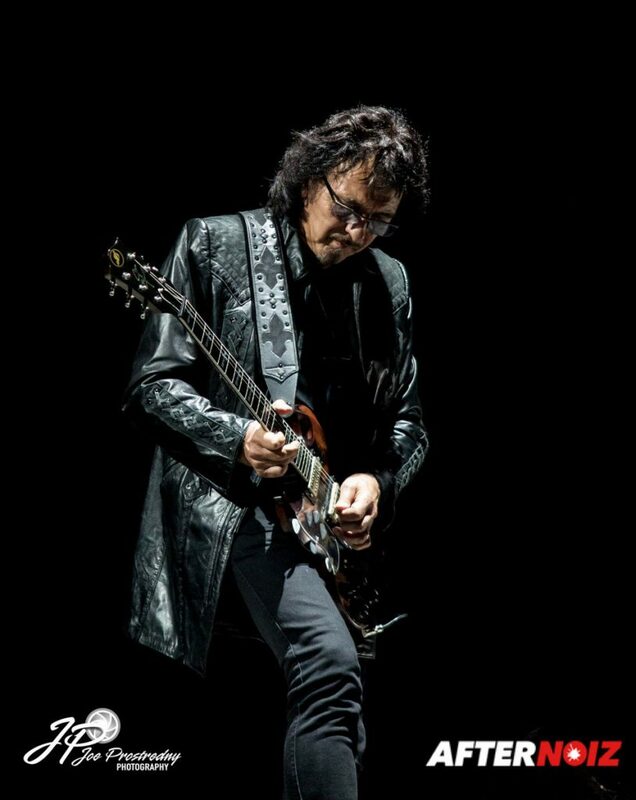 It brought back a lot of good memories for me and it was exciting to hear all those great, classic songs one more time. There was definitely melancholy as well… as I kept on reminding myself that this time would be that last. It would definitely be the end of a long and glorious era. 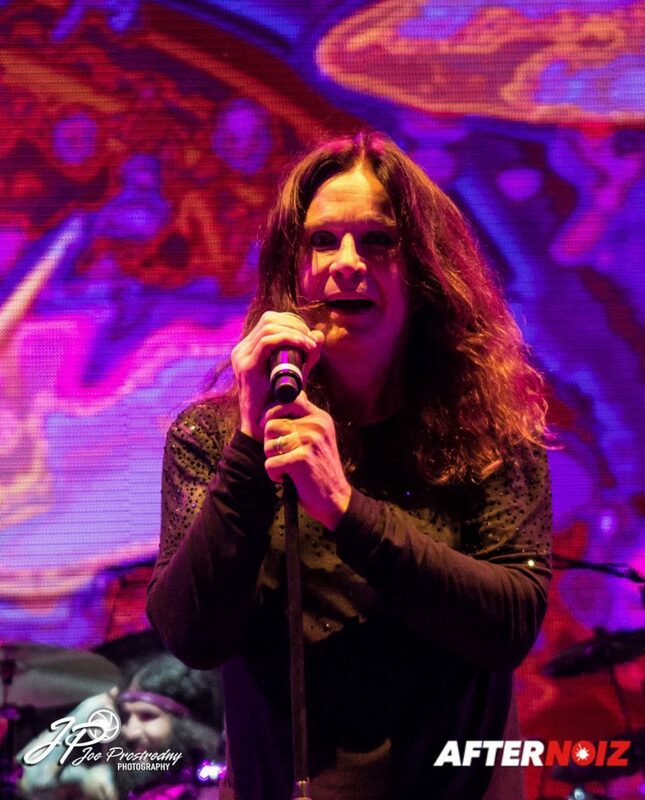 Ozzy and company performed for about an hour and forty minutes and played the majority of the classic Sabbath songs you would expect on a final tour. 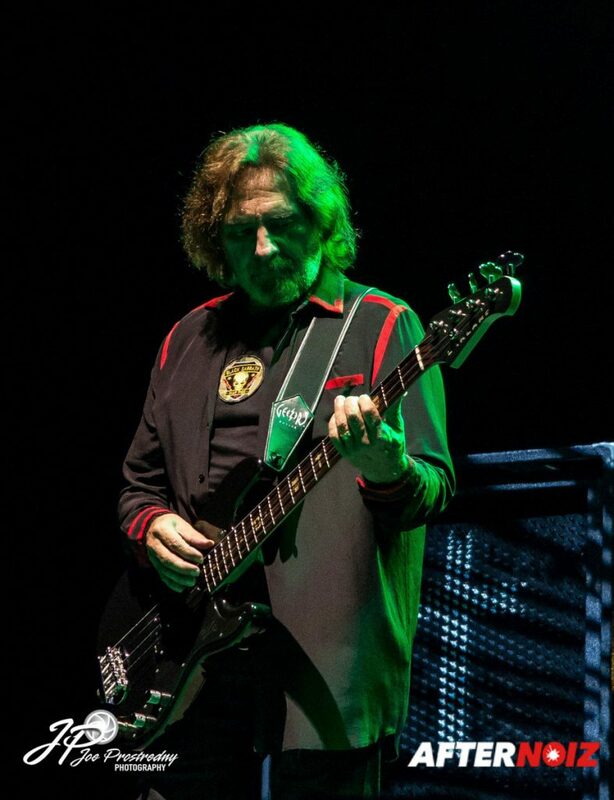 I wished they would have played longer, as they certainly have the music catalog to fill a much longer set, but concerts as a whole seem to be getting shorter… so we have to accept what we are given, I suppose. All of the songs, save one, came from the band’s first four albums. 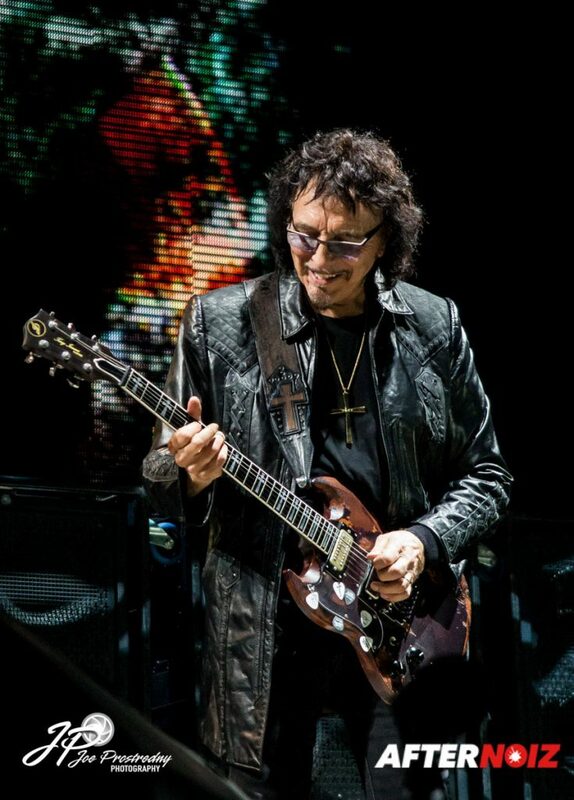 The show began appropriately enough with the title track from the band’s first and self titled album, “Black Sabbath”. 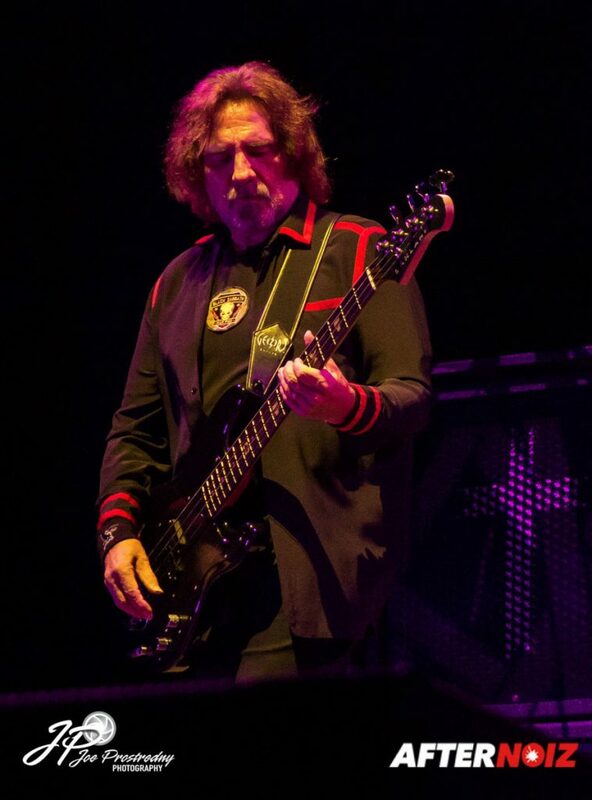 Additional songs from their debut included “Behind the Wall of Sleep” and “N.I.B.”. 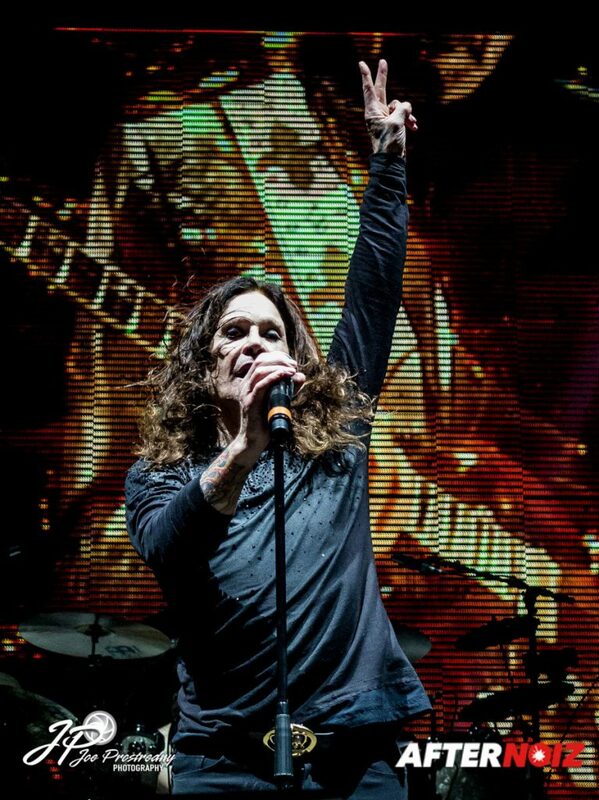 The “Paranoid” album was definitely overrepresented with five songs in the main set including: “Fairies Wear Boots”, “War Pigs”, “Rat Salad”, “Iron Man”, and one of my personal all time favorites… “Hand of Doom”. 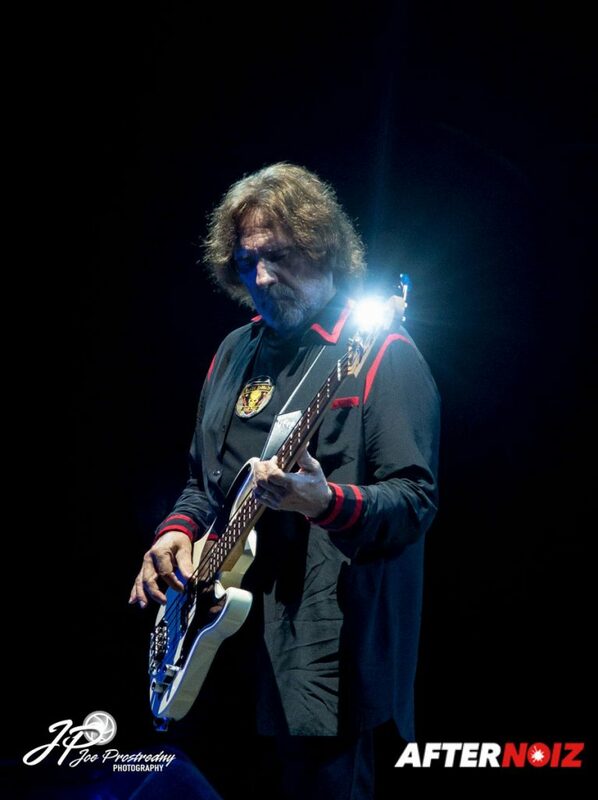 The album “Master of Reality” was represented by “After Forever”, “Into the Void”, and “Children of the Grave”. “Snowblind” was the only song from their aptly titled fourth album: “Vol. 4”. 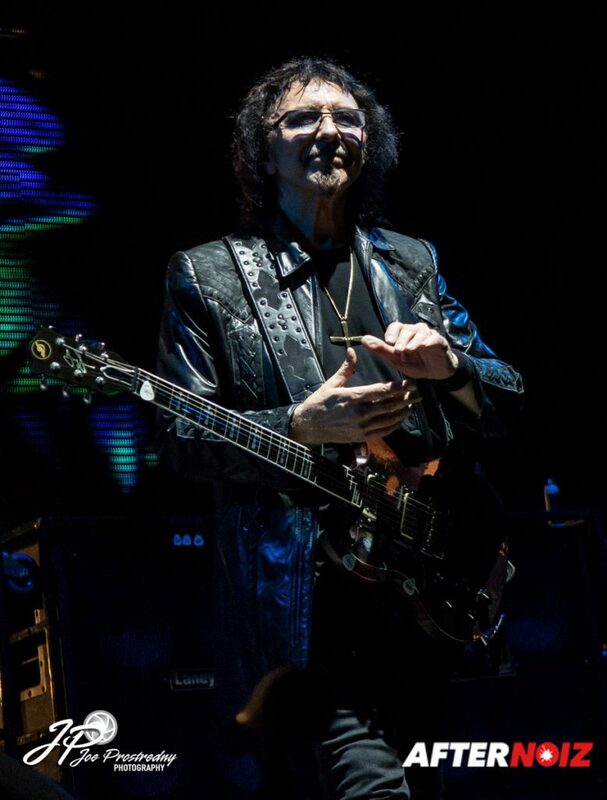 The most recent song of the night was “Dirty Women” from 1976’s “Technical Ecstasy” which included an extended guitar solo by Tony. 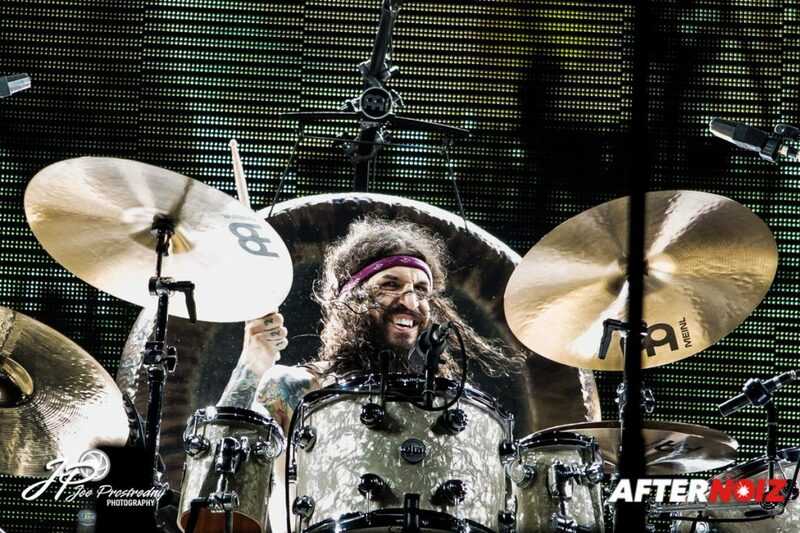 Tommy Clufetos also gave us a killer drum solo during “Rat Salad”. There was only one encore of the evening, which was, as expected, the ever popular “Paranoid”.